Matthew Frias - "Benny CRUZ"
Matthew Frias: Born and raised just outside of Dallas, Texas, Matthew discovered acting in elementary school as a member of its creative arts organization, Destination Imagination. Matthew's love for performing continued to grow in middle school as he was cast in several lead roles in the theater program. He enrolled in local acting classes and, after rigorous training, was soon signed by an agent and manager. Matthew landed his first role in the Sony Pictures film, When the Game Stands Tall, a sports drama with Jim Caviezel, Laura Dern, and Michael Chiklis. Shortly after filming, Matthew moved to Los Angeles where he made his television debut on MTV’s Awkward. Matthew can also be seen in the soon to be released feature films Bad Kids Go 2 Hell and By Way of Helena. Edmund Donovan - "Christoper WELLING"
Edmund Donovan: Edmund holds a BFA from the Boston University School of Theatre as well as training from the London Academy of Music and Dramatic Art. In Summer 2014, Edmund was seen on the third season of CBS's Unforgettable as well as the second season of Orange Is The New Black. In Fall 2013, Edmund was a part of the Broadway company of MTC's The Snow Geese. Other stage: The Beauty Queen of Leenane (Shakespeare & Company), Macbeth (Actors’ Shakespeare Project), Hot Fun in the Summertime (Cherry Lane), Authentic Lesbian Cuisine (Manhattan Rep). Readings/workshops: LAByrinth Theatre Company, Boston Playwrights’ Theatre. Edmund is currently an MFA candidate at the Yale School of Drama. 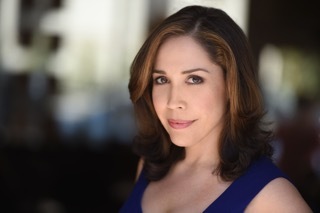 Andréa Burns - "Lenora CRUZ"
Andréa Burns, a Drama Desk Award winner, can be seen on Broadway this fall as Gloria Fajardo, in Gloria Estefan’s winning new musical, “On Your Feet!. Andréa created the role of “Daniela” in the Tony Award-winning musical, In The Heights. Additional Broadway credits include: The Nance, Beauty and the Beast, The Full Monty, and The Ritz. Off-Broadway, she created roles in Jason Robert Brown’s Songs for a New World, and Stephen Sondheim’s Saturday Night. TV: Aka Jessica Jones, Rescue Me, The Electric Company, Law & Order: SVU. Film: The Prince. Andréa’s album, "A Deeper Shade of Red," is available on iTunes. Amy da Luz - "Carol WELLING"
Amy da Luz: Film and TV: Lost Stallions; the Journey Home (with Mickey Rooney), Main Street (with Colin Firth), and One Tree Hill. Theatre: Hangar Theatre, Cardinal Group at Urban Stages, Triad Stage, Greensboro Summer Repertory, North Carolina Shakespeare Festival and Festival Stage. Amy is Founding Artistic Director of Paper Lantern Theatre Company, a professional theatre company in North Carolina. She is a proud member of SAG and AEA. Joseph Melendez - "David CRUZ"
Joseph Melendez: A native New Yorker, Joseph began his career on stage, appearing on Broadway in CATS and Jesus Christ Superstar before recurring as Rafael Santos in Season 3 of the FOX hit series Prison Break. Joseph has Guest Starred on Orange Is The New Black, Person Of Interest, How To Get Away With Murder, Elementary, The Black List. He has had supporting roles in Fast Five, The Brave One (2007), We Need to Talk About Kevin and the award winning independent film Runoff. Joseph is also an acting teacher and audition coach in New York City. Isabel Machado - "Becca CRUZ"
Isabel Machado lives near Columbus, Ohio where she is completing her final year of high school. She has appeared in student films, a web series and numerous plays. She looks forward to finding the college of her dreams where she intends to pursue a BFA in acting degree and pursue her acting passion on screen and on stage. In her free time Isabel enjoys singing, online shopping (to her parent’s dismay) and spending time with her friends and family. Cailan Rose most recently played "Sally Simpson" in East West Players' production of Tommy. Theater: Broadway/1st National: HAIR (Tribe/Crissy u/s), Miss Saigon. NY workshops: How the Great Grapefruit (Jamie), A Lasting Impression (Simone), Damascus Square (Dalit/Ensemble), Our Town (Actor's Fund). Int'l/Regional: South Pacific (Liat -MYW), HAIR (Hollywood Bowl/Adam Shankman), Miss Saigon (Macau, China), Spring Awakening (Thea - La Mirada), Beijing Spring (Ling-EWP), Freedom Maching (Morgan - La Miranda), Tanglin' Hearts (Celia), Cabaret, Bare, Romeo and Juliet (Juliet). Film/TV: I'll See You in My Dreams, Plea, Connected, Raymond & Lane, Something About Last Night.